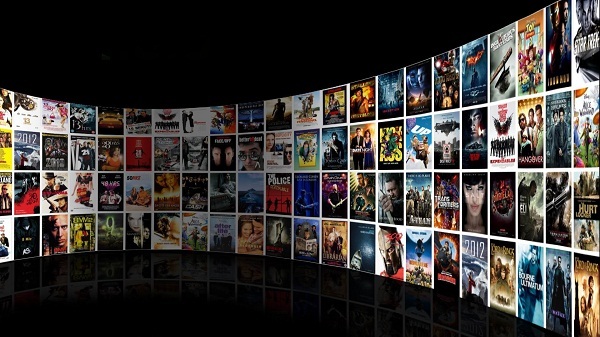 You are on Vimeo streaming movies or short clips, and you notice that you need to download these Vimeo videos so that you can share them with friends, or watch them when you are offline. Okay, that is it, but is it possible to download Vimeo videos? Yes, you can download Vimeo videos including those that they have been sent to you privately. In this article, we are going to tell everything you need to know about Vimeo video downloads and best Vimeo downloader software that you can use. iTube Studio Video Downloader for Mac (or iTube Studio for Windows) for Vimeo videos has proven to be the best Vimeo downloader owing to its excellent features. This Vimeo downloader can download high-quality videos from over 10,000 sharing sites at a 3X faster speed owing it to Turbo feature. Besides, you can download multiple videos such as the YouTube playlist and music with a click. Moreover, this Vimeo downloader has an inbuilt media browser that makes it easier to download videos online. Furthermore, you can also download audios online to MP3 format or record MP3 files. The inbuilt recorder can also record videos from online sites, Facetime and Skype Video call. Download videos from Vimeo and other 10,000 video sharing sites including YouTube, Metacafe, Dailymotion, Hulu, Netflix, MySpace, etc. Support batch download mutiple video files at the same time with 3X faster speed than other video downloaders. Built with a media transfer feature that is compatible with Android phones, iOS devices, and external drives. Convert downloaded Vimeo videos to other audios, videos, device formats, editing software and game consoles. Record any online video from any online video page including those unable to download sites. Private Mode feature that allows you to download videos in incognito mode with a protecting password. With iTube Studio you can download Vimeo videos by pasting URL link, using iTube Studio extension or by recording them. Here is a detailed guide for each method. 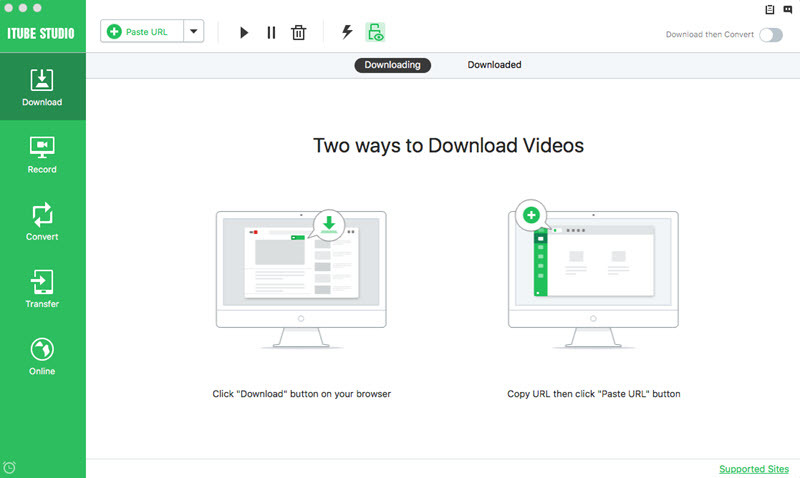 Firstly, download and install iTube Studio Video Downloader into your Mac or Windows PC as preparition to download videos from Vimeo. The download extension for Chrome, Safari, Firefox, etc. comes with Vimeo downloader program. Therefore, open the program click on “Download” and install the extension for the appropriate browser that you are using. Next, open the Vimeo video on your browser and it will be detected. Click on “Download” button and select the output quality. The Vimeo video will be downloaded. Also, you can go to the Vimeo downloader program and click on “Download” menu at the upper left. Copy the link of Vimeo video, then click on “Paste URL” and paste the URL. iTube Studio will detect the link and you can click on “Download” button. Set the right format and download the file. Alternatively, you can record Vimeo videos as you play and watch them on Vimeo site. Open the Vimeo video on your browser and click on “Record” on the left menu of the Vimeo downloader software home window. 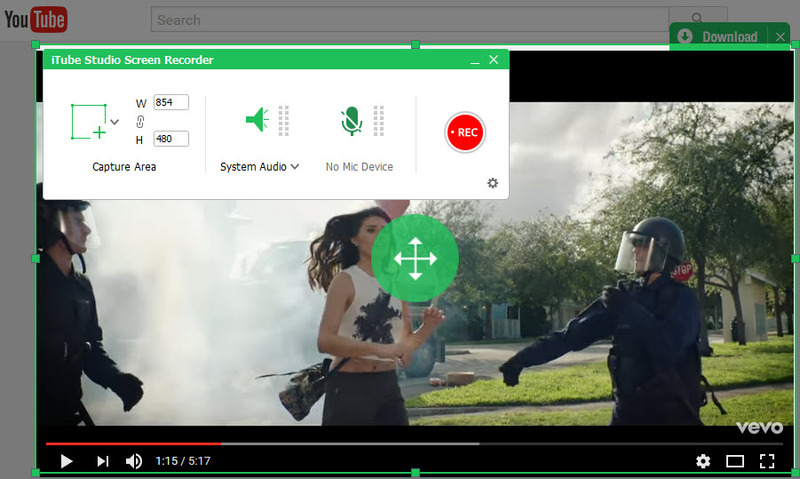 Next, click on “Record” button and a recording setting window will appear. Choose the recording area on the Vimeo website. You can also customize settings by clicking on “Gear” icon. When everything is set, click on “REC” and iTube Studio will begin to record the Vimeo video once you play it. Tip 1: How to Download Vimeo Videos Directly without Downloader Softwares? 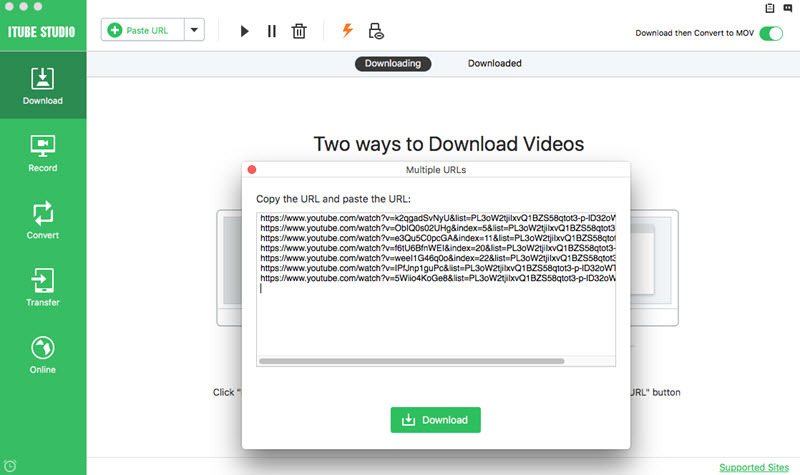 When you want to download Vimeo videos without installing a software on your computer, you can use an online downloader. There are different online Vimeo downloaders that allow you to download videos that are of high quality online such as KeepVid, VideoGrabber, and SaveVideo.me just to mention a few. Here we are going to focus on VideoGrabber. This site allows you paste the URL link of the Vimeo video and download. Here is a quick guide on how to download Vimeo Videos using VideoGrabber. Visit VideoGrabber website and locate “Paste URL” box. Paste the Video and then click on “Download” button. Next, choose output format and video quality. Here you will be able to determine the file size of your video depending on quality and format. Complete the process by clicking on “Download” and the Vimeo Video will be downloaded to your computer without having used any software. Tip 2: Is it Possible to Download Private Vimeo Videos? You may be browsing, and you find a video that you want to download and you are requested to provide a password for the video. 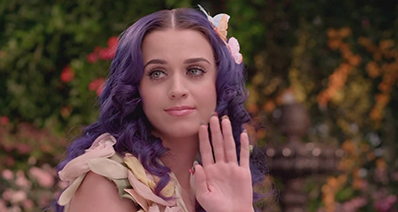 For some private Vimeo video, you will get a notification such as “Oops! Something broken. Please try again later!” You may have access to the videos from the owner, but you cannot download these private Vimeo videos. We are here to give the good news. There is now a way out in which you can download private Vimeo videos. You need to check for a Vimeo downloader that supports download of private videos. We have softwares such iTube Studio Vimeo Downloader Software that is built with this software, or you can opt for online private Vimeo Downloader. How to Download Videos from Vimeo Free of Charge?